A group of students in the Faculty of Social Work’s Indigenous Field of Study program hopes you’ll think about the needs of Indigenous children in Canada for Have a Heart Day. Have a Heart Day is a child and youth-led reconciliation event that raises awareness in an attempt to ensure that the needs of Indigenous children are being met. Laurier students Jessica Leitch, Kelly-Ray Trudeau, Michelle Lavoie and Chantel Proulx invite students, staff and faculty get involved with Have a Heart Day by writing a letter to federal politicians expressing support for Indigenous children. The group will host a letter-writing table in the Concourse on Laurier’s Waterloo campus on Feb. 15 from noon until 3 p.m. Heart-shaped letter templates will be available for those interested in participating. Leitch’s group will mail the letters. 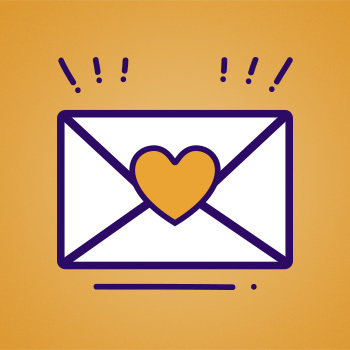 Whether you’re familiar with Have a Heart Day or not, Leitch and her classmates encourage the Laurier community to learn more. The group chose the Have a Heart Day campaign as the focus of its social action project in the course “Social Justice and Transformative Social Work Practices,” lead by instructor Laura Mastronardi. The project requires students to identify and research an ongoing initiative in the community or on campus.